I'm slowly making my way through the first few chapters but the significance of this translation is abundantly clear already. This is a great idea. What would be a good way to start this? Any chance this would be web-casted / broadcasted in some form? "And via Zoom videoconference for those who cannot attend in person." Clearly, I didn't read it thoroughly. My bad. I am glad I made it. I just got back and I have to say that it was, as usual, a highly informative and entertaining talk by Malcolm. I watched on zoom.It was very informative and clearly explained.Nicely done Malcolm! I forgot to tune in. Was it recorded via Zoom or elsewhere? It was a bit over my head, but many accessible gems shone through. It's a pleasure to listen to you, Malcolm. I am afraid it was not. Where can I learn more about this Buddha "Powerful Heroic Youth" (Gzhon nu Dpa' bo stobs ldan) - which I'm guessing is Shyönnu Pawo Tobden, sixth of the 12 founding Dzogchen masters? Are there any literatures that explain more about this Buddha and his nirmanakaya field? Last edited by Ignorant_Fool on Wed Oct 24, 2018 3:34 pm, edited 2 times in total. 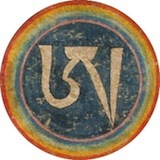 If Gzhon nu Dpa’ bo stobs ldan is teaching a retinue (which includes Vajrapani) that is merely an emanation of his own pristine consciousness, then when this buddha sees the appearances of six realms of samsara it must be the case that the beings in each realm must also be emanations of his pristine consciousness. I understand the idea of the Yogācāra container universe model, however, this model works from the perspective of a deluded mind. So how does this buddha view sentient beings? Are sentient beings similar to the retinue in that they are his own emanations? I know the general phrases, “buddhas don’t see sentient beings” and “sentient beings do not exist.” That is not what I am getting at. I am trying to understand this from a Man ngag sde perspective. Any thoughts? Thanks. Perhaps the whole issue is a non-starter as in trying to write on water or air. Perhaps these questions do not function, or apply, to an enlightened Buddha. So - perhaps our time is better spent - even for a moment - in contemplation and practices leading to enlightenment. When your mind wanders into questions like this, and this is a completely normal occurrence, gently bring it back to contemplation and practices leading to enlightenment, and again, and again, etc. I am sure that there is great benefit to all who seek to practice Dzogchen in reading the Dzogchen tantras. Perhaps this will put to rest all your questions. Sooo, any thoughts from anyone else? Just happened to read Chapter 59, “The Deed of Emanation.” It is related to my question, but I’m still unclear as to how the six realms of samsara fit in.